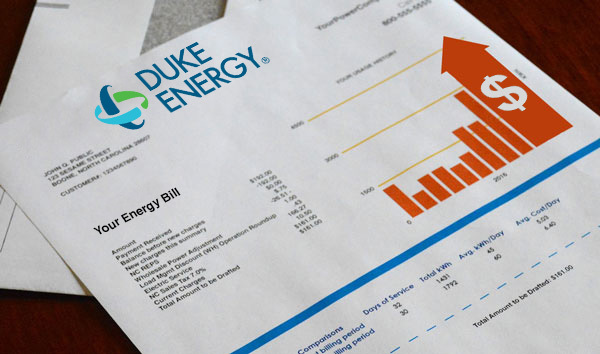 The North Carolina Utilities Commission is seeking public comments on Duke’s proposal to hike customers’ rates by nearly 15%, charging customers $311 million to pay for cleaning up the toxic coal ash pits Duke has neglected for decades. Most of this increase will occur in the flat service fee per month, placing a heavy burden on residents on low or fixed incomes. We’ve already been paying the cost for Duke’s mess: toxic pollution in our waterways and drinking water, threatening our communities’ health and wellbeing for years. It’s time for Duke to be held responsible for its mistakes. TAKE ACTION NOW! Tell the commission that you oppose any handouts for polluters, and that you want Duke Energy, not customers like you, to be held responsible for the costs of cleaning up this toxic mess.